Turn your Dreams into Reality when you immerse yourself in the longer learning modules at “Alchemy Place”. Your dream may be to just feel more safe, confident and connected on the ground, or to feel safe, confident and be in balance and harmony on a trail ride. But maybe, like myself, you want to go all the way and become an artist with horses, achieve the highest levels, becoming one with the horse and riding like a centaur. Totally connected – one mind, one body, one spirit – to reach the highest levels of skill and athletic performance, without force, but instead with honour and dignity for the horse. Whatever your level of desire, these courses will set you on the path to achieving your dream. These three course modules are designed so that students can connect them together to fully immerse themselves in a longer focused learning experience. 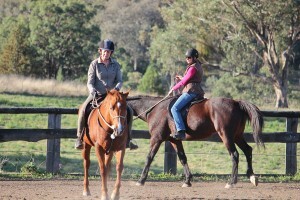 These longer courses help people to incredibly accelerate the development of their horsemanship. Click on the courses above for more details about each course and pricing. ***NB there is 1 day off in between the Postural Development Course and the Introductory Riding Course and the Intermediate Horsemanship Course. 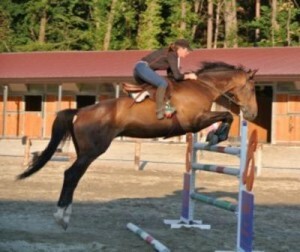 Perpetually on a quest to develop her own horsemanship skills, Mel traveled the world learning and then as a coach. 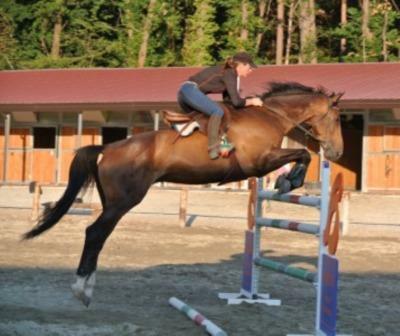 Well known for her own horsemanship skills, Mel also has the ability to teach the intrinsic qualities of connection, feel, timing and balance to others. 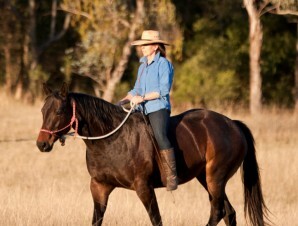 She realised that teaching TRUE horsemanship was not just about teaching mechanical techniques but getting people in the right place in their minds and bodies and unlocking, re-balancing and reconnecting people to their physical bodies. These courses consider all aspects of mind, body and spirit and therefore invoke tremendous transformation for both horses & humans. Suited to all levels from beginners to advanced students, the courses help people and horses feel safe, feel confident and lead to the development of beautiful partnerships between horses and humans. At the advanced levels they give people and horses the skills to reach the highest levels of athletic performance. All that is required is an open heart and mind, a deep regard for the horse and a commitment and dedication to learning. Our state of mind and body, determine our success in any field, and it is none the less when working with horses. In fact, it is more so. There are so many facets to this learning and in longer term courses, we can delve deeper and build understanding and skills layer by layer. The longer time frame allows us to go into great depth so we can truly change patterns and empower both horses and humans through unlocking the mind and body with mind and body awareness processes, clearing limiting beliefs that you maybe carrying and releasing physical restrictions that are hindering you. The principles learned here will benefit all areas of your life. Experience the Magic of Horses & Experience the Magic of Yourself !!!! Horses are Magic – all horse lovers feel this and that is why they are drawn to them. Horses symbolise and embody freedom, spirit, power, energy, speed, strength and athleticism. This is what makes them magnificent and within all of this power is gentleness, softness and love. When we were young and dreamed about horses they were magical to us. The sad part of this story is that often as soon as the human comes in contact with horses this magic is lost from the horse. Horses have been shut down, restricted and their spirits broken and instead of softness they have become full of defensiveness, fear and anxiety. Usually this does not happen purposefully it is just the way things have been with people and horses. We can rekindle the magic of horses by developing ourselves as True Horseman. I use the word Horseman as meaning the coming together of the horse and the man, as in the human. I put the word True in front because the word horseman is used so commonly that it doesn’t encompass what I believe the horses would classify as a horseman. What qualities would horses want in a horseman? Who would horses call horsemen? After all they are the ultimate judge. As a student of the horse here is what I have learned so far. Primarily horsemanship is about working on ourselves. It is more about a way of ‘BEING’ than it is about a way of ‘DOING’. A way of being calm, still, centred and focussed in our minds and emotions, and physically aware and balanced in our bodies. This way of ‘being’ has to come first and then we can physically learn the techniques or what to ‘do’. Training the horse is secondary to developing ourselves. When we get things right, the horses can usually do things without too much trouble. Horsemanship is an interesting paradox because whilst it seems that we humans are the ones training and teaching the horses, the horses are equally teaching and leading us. The more we listen to them the better things will go. So learning to listen to them and feel them is the core essence of becoming a horseman. People talk about horse whisperers but more appropriately we need to become horse listeners. After learning how to ‘Be’ we need to develop a great awareness of our physical body so that we can be balanced, coordinated, athletic and in control of our body. One of my mentors, Gavin Scofield, said to me “the only difference between a great rider and a not so great rider is that they are doing different things with their bodies”. This simple but profound statement set me on a path of discovering what was going on in people’s bodies and how to change patterns in their bodies from patterns of restriction and tension which are not helpful to horsemanship, to patterns of freedom, balance and mobility. 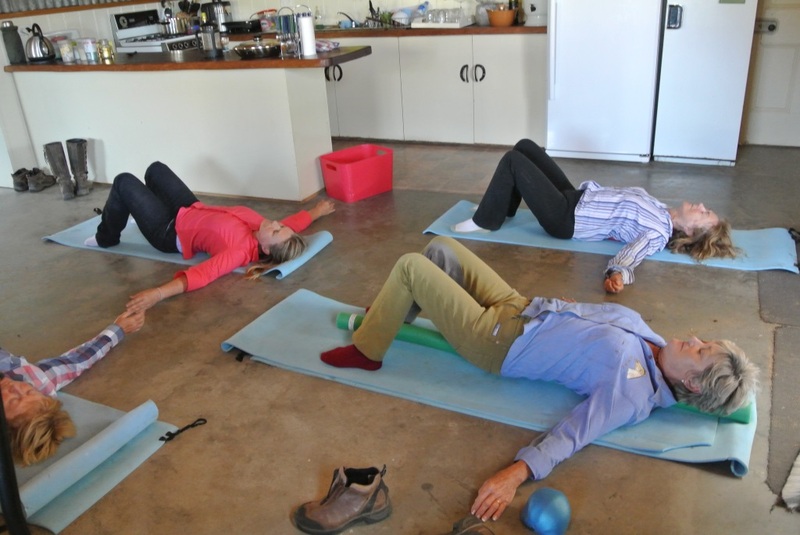 Aside from plenty of coaching on the horses, helping people to develop their physical skills is done through mind and body awareness sessions, simulations and body balancing exercises which incorporate aspects of yoga, feldenkrais, aikido, meditation and energy healing. To free up the body we need to free up the mind and the emotions, releasing any negativity, fear or stress. 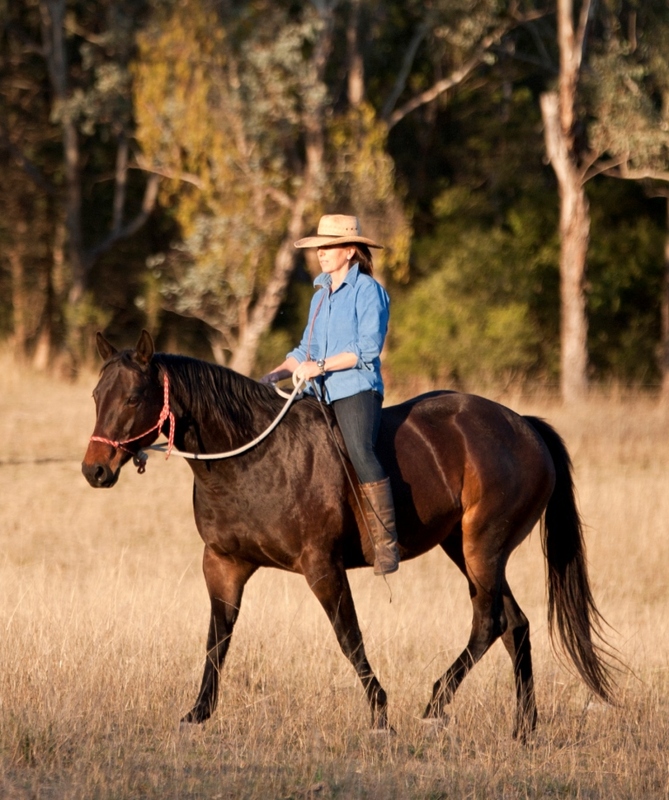 This time of getting away, relaxing and having fun with the group, the horses and all of nature in such a supportive learning environment will be very instrumental in itself for getting the mind back into present time and reconnecting the mind to the body. True Horsemen are very aware of energy and how to use it. Horses are masters of using energy so we too need to also become masters of energy as in the highest forms of martial arts. When we learn how to ride with our energy rather than muscle force we begin to ride horses in the unrestricted way that they want to be ridden in. Energy can be used for communication, health and healing or athleticism and performance. To become True Horsemen we need to work on ourselves at all levels of the mind, emotions, body and spirit.As we develop ourselves we will start to find the magic in horses again, the magic of feeling in harmony with them when riding or just feeling their beauty, power and grace when in their presence. The dream can start to become reality, having your horse calm and relaxed, mentally with you and moving with effortlessness and ease. As we develop things further we can experience their spiritedness, freedom, courage, athleticism and power while still having the calmness and the mental connection. This is what we all dreamed about in a fairy tale type dream – the magic of horses. Of course you are not going to learn it all in six weeks, but you will learn in a tremendously accelerated way, where the learning is deeper and where we can build understanding and skills layer by layer. Six weeks is a long enough time frame for changing habits, so the changes will stick. Treats horses with absolute respect and dignity. Appreciating them for “who” they are and not just using them for what they can do. Dignity means choice – a real choice – not just making the consequences of not doing what the human wants so uncomfortable or even so painful that the horse has no choice but to comply. Understands horses mentally – knowing what they are thinking and how they learn. Understands horses emotionally – knowing how they are feeling about things and feeling compassion for them. Understands horses physically – knowing how they are feeling in their bodies and how their bodies function. 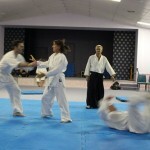 Knowing how they need to move with healthy biomechanics. Understands them spiritually – knowing them at a spirit or soul level, knowing their deepest essence. Centering and Grounding yourself. Stilling the mind and calming the emotions. Developing energy awareness and learning how to use energy. 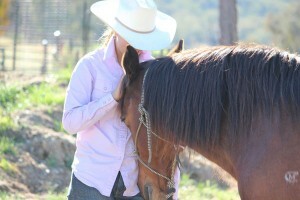 Connecting with your horse at mental, emotional, physical and spiritual levels and communicating at both physical and energetic levels. Learning Meditation and Healing techniques to still our minds, clear emotions that are hindering us and our horses and heal physical issues in the body – these techniques can be applied to both ourselves and our horses. Learning body awareness and balance and how to move in a unified, effortless and free, flowing way. Understanding how horses think, learn, feel and play. Learning ground skills:- for basic handling; as physical therapy/rehabilitation, exercise and postural development; to build confidence in horses and people; to prepare horses for riding; for liberty work and simply to just play and have fun with your horse. Learning Riding Skills:- Developing an independent seat, balance, coordination and body awareness. 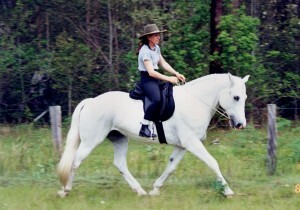 Ride with the qualities that horses are looking for, softness, rhythm, flow, balance, harmony and healthy biomechanics. Developing horses to use their bodies with correct biomechanics – to have balance, hindquarter engagement and athleticism. Maintaining horses curiosity and enthusiasm in their training – keeping them interested and developing their enthusiasm through both external and intrinsic motivation. Extra learning as needed and as time permits about physical care and health for the horse, basic feeding, stretching, energetic body work and soaking and poulticing the feet and legs to maximize health and performance. The courses will be taught from a multi – level perspective so people will work with the information at whatever level they are at. I have many students who are experienced horse people or who have done many courses with me before, come and redo the Introductory courses and get loads out of them, as they learn and understand things at deeper levels and from higher perspectives. 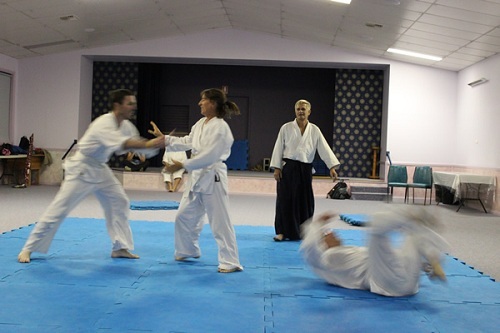 In fact, it is extremely beneficial to their advancement as they will be guided to develop their feel, timing and understanding of body mechanics and balance in the fundamental exercises. That is, they will do the introductory tasks at an advanced level of feel. Doing the basics, with a great quality of feel and understanding, is the most important key to doing advanced things well. Students and horses with a suitable standard of prior learning with Mel may be accepted to attend the latter courses without completing the first courses. To reap the full benefits of the experience we offer camping on site and catering so you are able to stay fully immersed in the atmosphere. There is a fully equipped kitchen for your use to self cater, with fridges, freezer (limited freezer space), stove top, oven, microwave, kettle, toaster, sandwhich press, cooking utensils, plates, cutlery etc. as well as toilet & shower facilities. ****I look forward to helping you achieve your dreams and I want to make sure that this is the right course for you. So if you have never previously attended a course with me, please email or phone so we can book a time for a phone conversation and make sure that this is the right course for you. If you are wishing to book for one of the latter courses and are not starting with week 1, please email for approval before booking, to ascertain that you have completed sufficient prior learning with me to the standard of the course for which you wish to book. I want to make sure that everyone gets the most out of their learning experience here. Truly these courses will accelerate the learning and development of both you and your horse beyond measure and the learning and development that you make will be an investment that will help you in all aspects of your life, home, family, business, work, health and fitness. 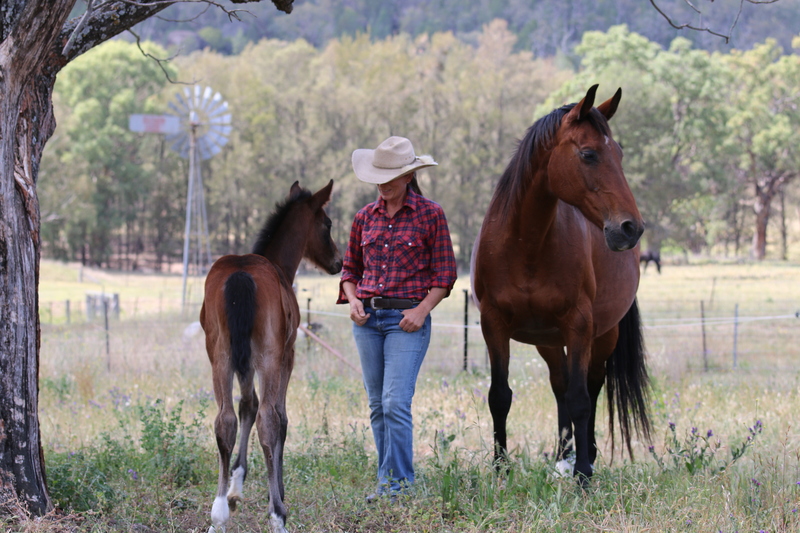 The qualities that you need to develop in yourself to be good with horses are the same qualities that you need to be good at anything you want to do and to be able to enjoy life to its fullest. Students tell me all the time how things they learn at my courses help them to be better parents, partners, teachers, leaders, managers and in general happier more peaceful people.